This is a hilarious animation by No Mas and animation artist James Blagden which matches specially prepared animation with a 4 1/2 minute interview with former Major League pitcher Dock Ellis. Before we get to the subject matter of the interview, let's just note that the animation matched to the interview is perfect. It is composed of simple pen-and-ink sketches with only occasional color and distortions with standard druggy connotations. Considering the freaky subject matter and the era in which the incident happened, it is perfect, and illustrates that animation is best when matched with the subject matter, not necessarily when it is overly technically precise or elaborate. The interview covers one specific incident in Ellis' career. Now, Dock Ellis had a terrific baseball career: he helped win a World Series, helped bring the NY Yankees back to the World Series after an absence of a dozen years from the playoffs, and threw a no-hitter ("no-no" being baseball lingo for that feat). It's the no-hitter that interests us here. For those who don't know much about baseball, a no-hitter is when the pitcher pitches an entire game and gets everyone out without giving up any base hits. Usually, there are many base hits, or at least one or two. Giving up no base hits over nine full innings is one of the rarest feats in sports and the ultimate achievement by any pitcher. I can only remember bits and pieces of the game. I was psyched. I had a feeling of euphoria. I was zeroed in on the [catcher's] glove, but I didn't hit the glove too much. I remember hitting a couple of batters, and the bases were loaded two or three times. The ball was small sometimes, the ball was large sometimes, sometimes I saw the catcher, sometimes I didn't. Sometimes, I tried to stare the hitter down and throw while I was looking at him. I chewed my gum until it turned to powder. I started having a crazy idea in the fourth inning that Richard Nixon was the home plate umpire, and once I thought I was pitching a baseball to Jimi Hendrix, who to me was holding a guitar and swinging it over the plate. They say I had about three to four fielding chances. I remember diving out of the way of a ball I thought was a line drive. I jumped, but the ball wasn't hit hard and never reached me. Basically, he pitched the entire game without realizing what he was doing, and in so doing achieved the highlight of his career. Some of his details are devastatingly sincere and almost certainly true, regardless of whether you believe the LSD angle: rookie (according to Ellis, though he really wasn't) second baseman Dave Cash continually reminding Ellis during the game that he was throwing a no-hitter, which in baseball (the most superstitious sport) is akin to throwing a hand grenade into a church, and Ellis remembering that the other players wanted to tell Cash to "shut up"; and Ellis off-hand recollection that there was "a lady" in San Diego who everybody knew had the drugs for the players. That just sounds so true, especially in the '70s. The audio in this animation is Ellis himself, speaking to NPR in 2008 shortly before his death that year, recounting the events of that day. There is some doubt whether this actually happened - the LSD part, not the no-hitter, which definitely happened - because Ellis was known as a bit of a storyteller, but it's a great story in any event. For true baseball fans, the aside that Ellis tosses out casually that "when I was playing" 90% of Major League players were on drugs is something that slips by you at first, and then you go, what? But his explanation of why the players used the drugs, at least in those days - to cope with the intense pressure of the fear of failure and going back to the minor leagues - rings as true as a bell. Dock Ellis was known as a free spirit (he once was maced for just trying to get into the ballpark and play because he was acting suspiciously) and a reliable pitcher (though he didn't win a lot of games). He later recalled that his "scariest moment" was when he tried to pitch a game while sober. He also once got into trouble for wearing hair curlers in the bullpen, and there was a famous incident where he intentionally tried to hit every single player in the Cincinnati Reds' line-up but was removed from the game by his own manager before he could manage it. So, if this animation is the only way Dock Ellis is remembered, well, there could be worse ways. In celebration of the greatest athletic achievement by a man on a psychedelic journey, No Mas and artist James Blagden proudly present the animated tale of Dock Ellis' legendary LSD no-hitter. In the past few years we've heard all too much about performance enhancing drugs from greenies to tetrahydrogestrinone, and not enough about performance inhibiting drugs. 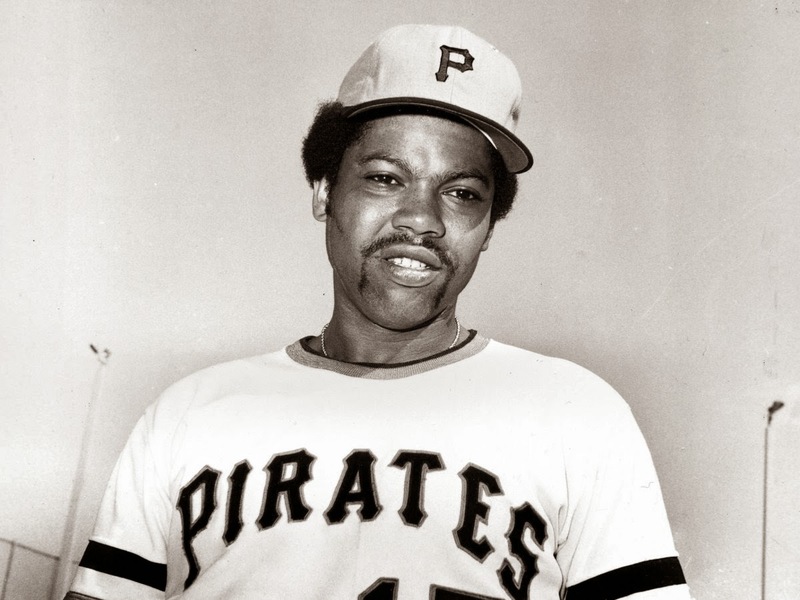 If our evaluation of the records of athletes like Mark McGwire, Roger Clemens, Marion Jones, and Barry Bonds needs to be revised downwards with an asterisk, we submit that that Dock Ellis record deserves a giant exclamation point. Of the 263 no-hitters ever thrown in the Big Leagues, we can only guess how many were aided by steroids, but we can say without question that only one was ever thrown on acid.